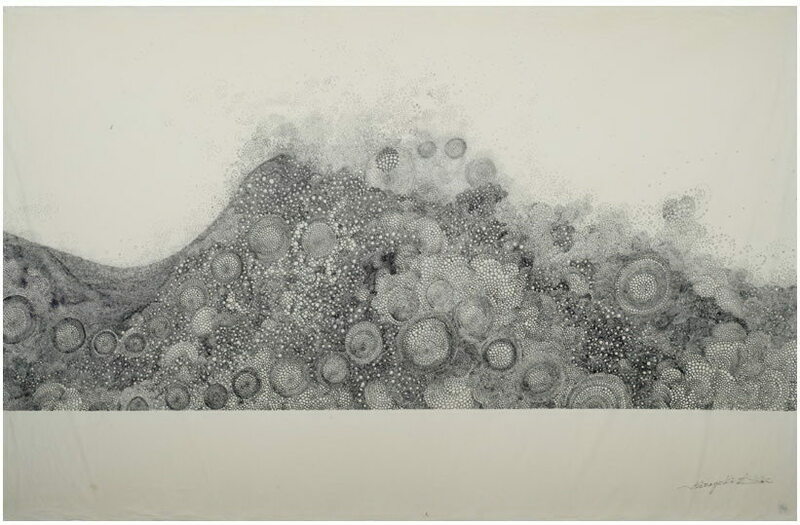 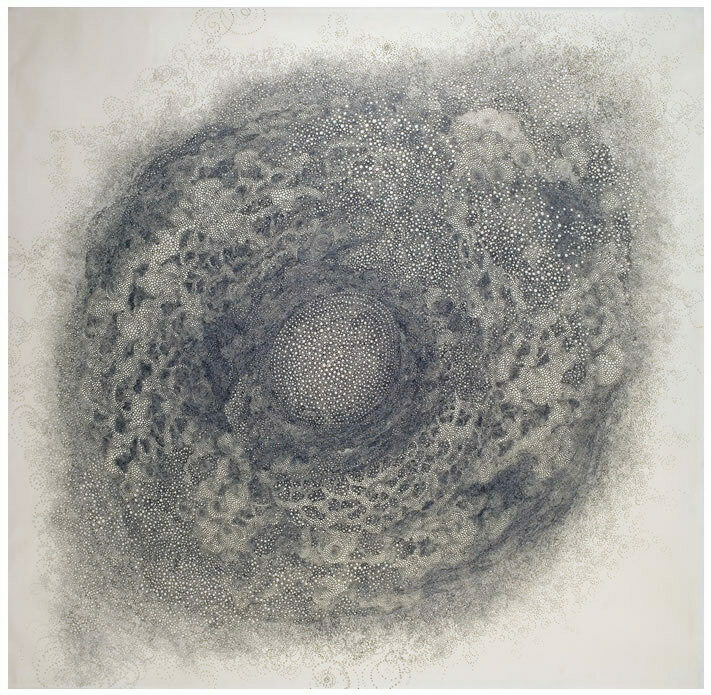 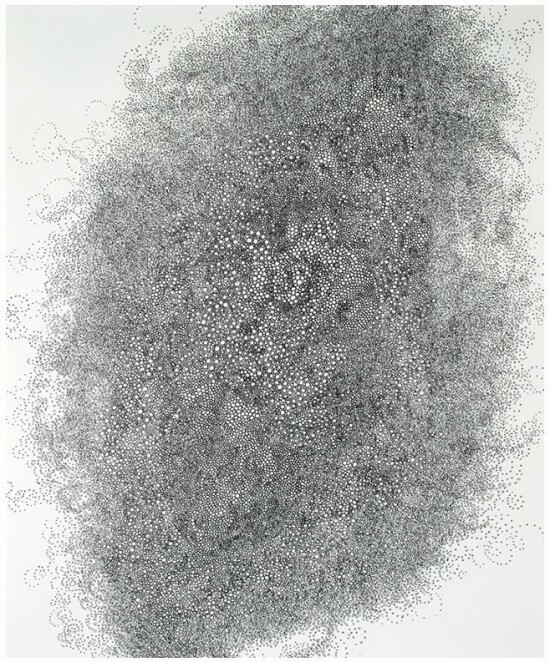 Ricco/Maresca is presenting the Japanese artist Hiroyuki Doi work from January 6th – February 19th 2011. 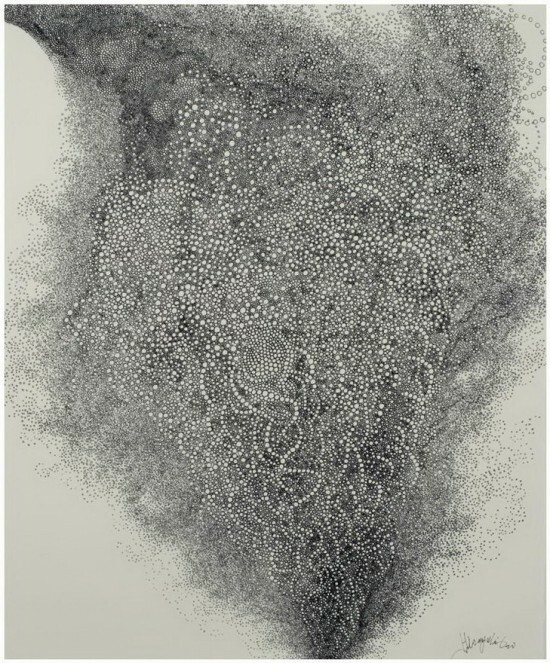 The self-taught artist is known for his mysterious and emotive abstractions whose compositions are made up of billowing, cloud-like forms. 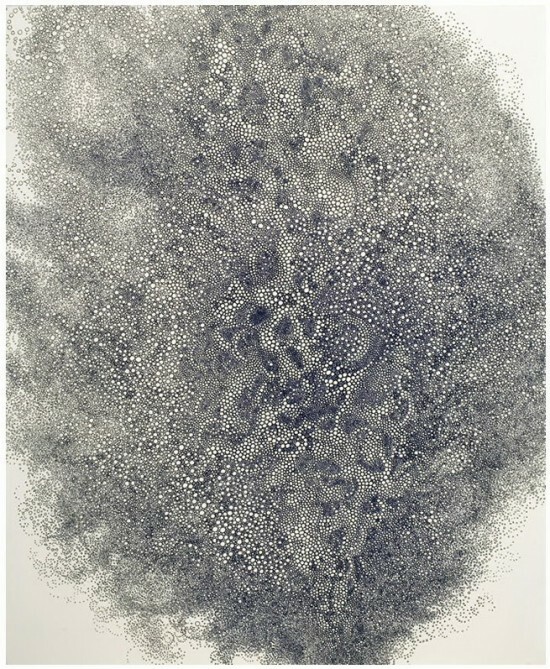 In his drawings on Japanese papers made with mulberry and other kinds of bark, Doi, who is based in Tokyo and began making art after many years as a chef in Japan, builds up his dramatic images using little more than random clusters of tiny circles. Sometimes when I create something beautiful I feel like someone else or something else is creating through me.